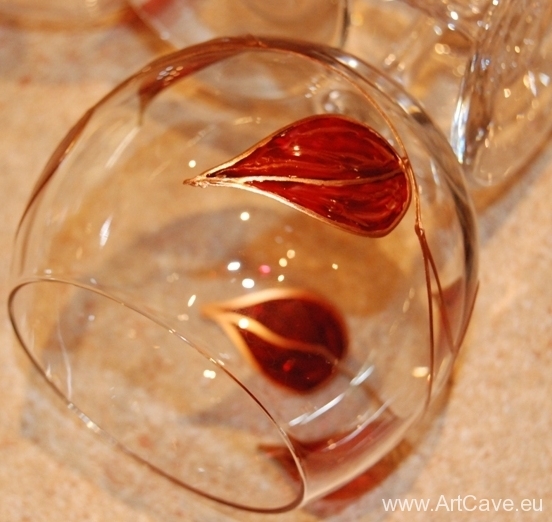 This year I decided to come out and make my debut at few craft fairs in Poland. 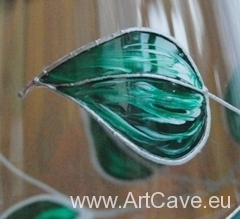 I already have a lot of items, that I can sale: paintings, jewelery, t-shirts, bags, etc. 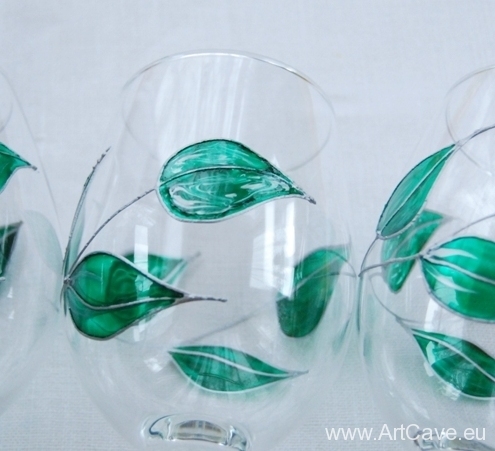 Because there are few craft fairs I enrolled to, which means that I need to keep working. 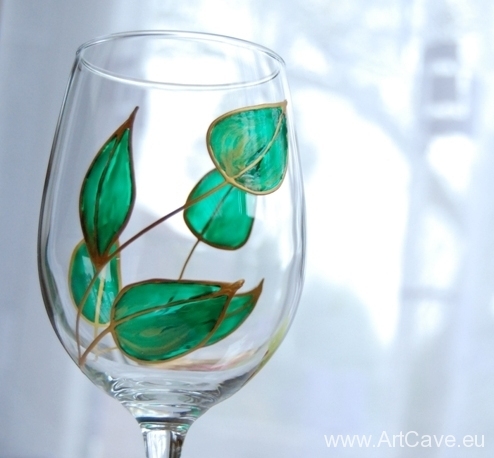 I kept myself busy this week working on painted glass wear. 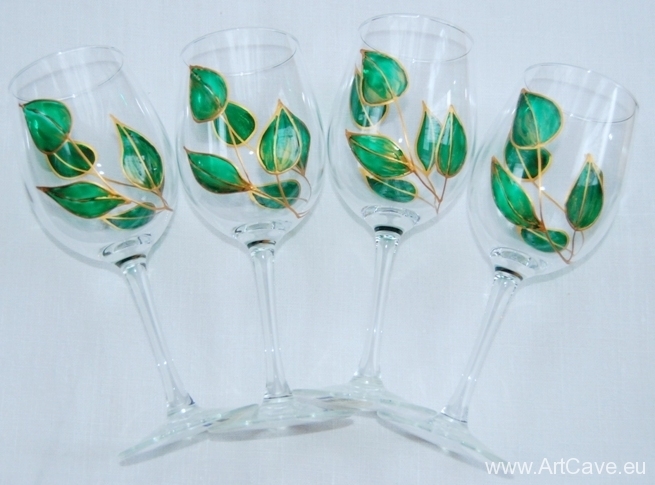 I have few elegant wine glass sets, all painted by me. 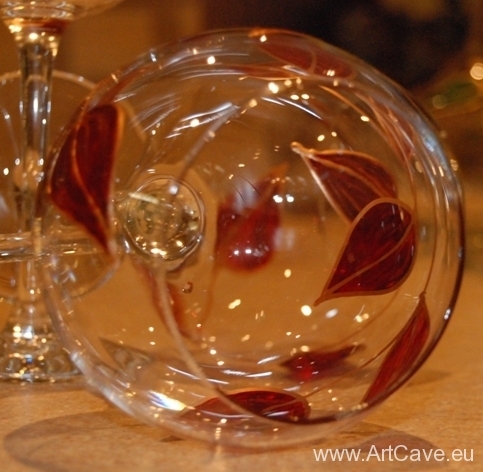 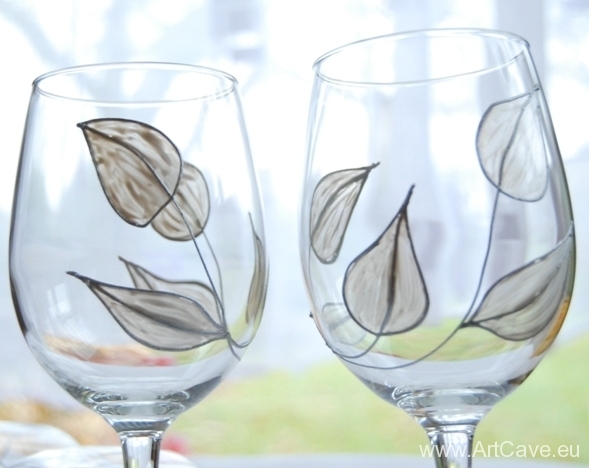 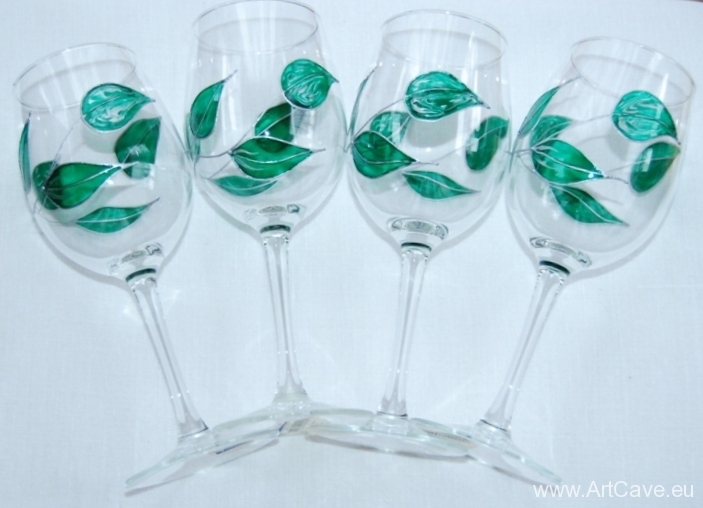 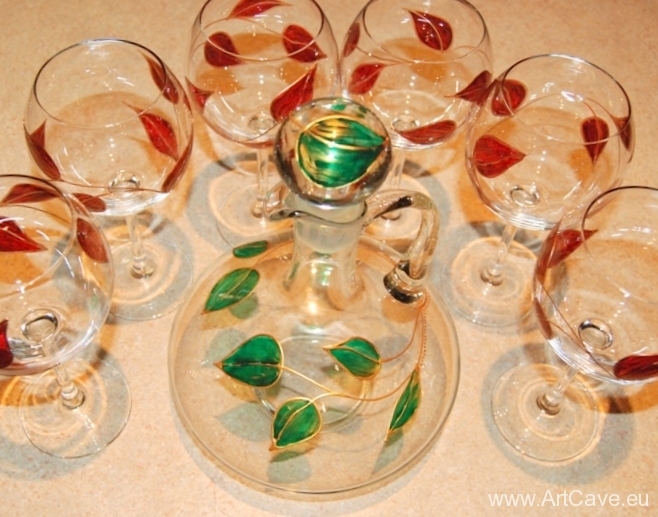 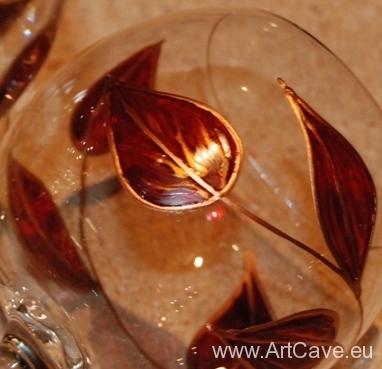 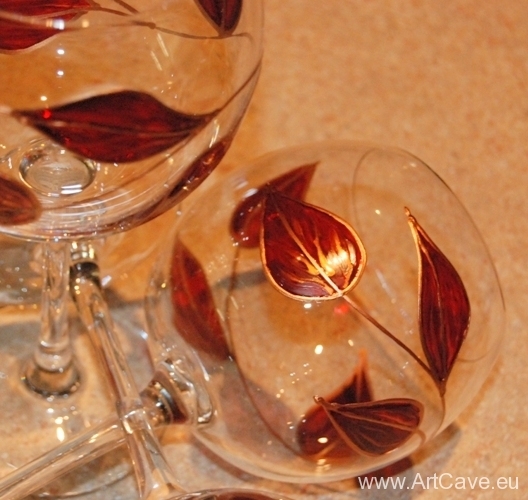 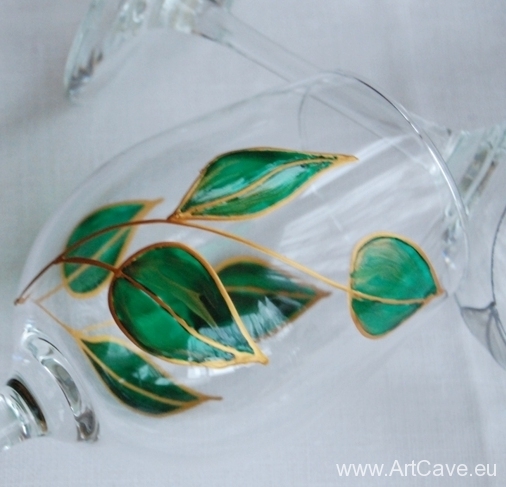 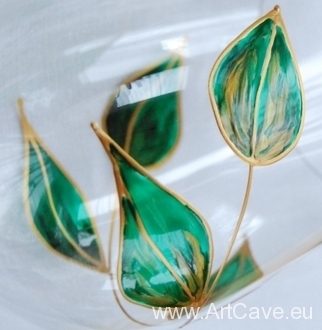 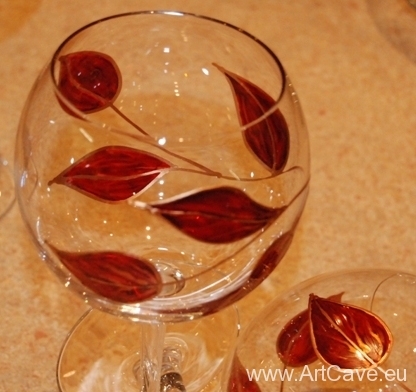 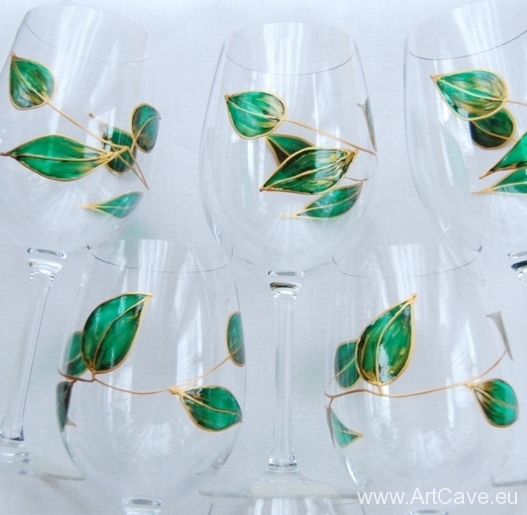 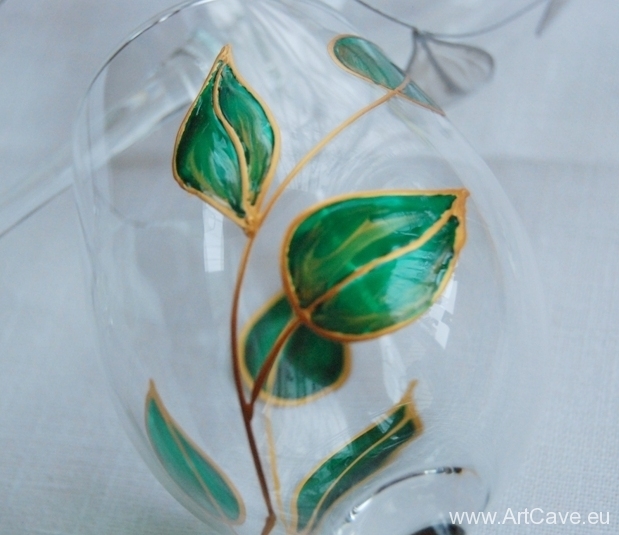 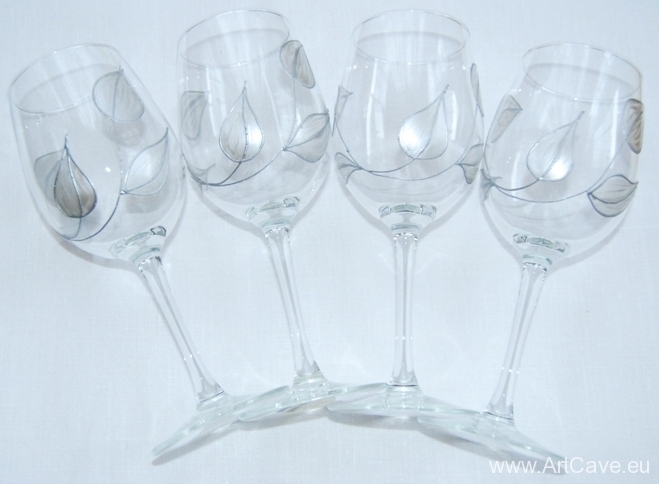 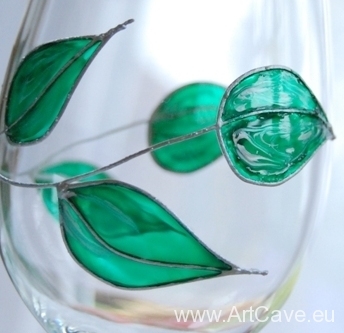 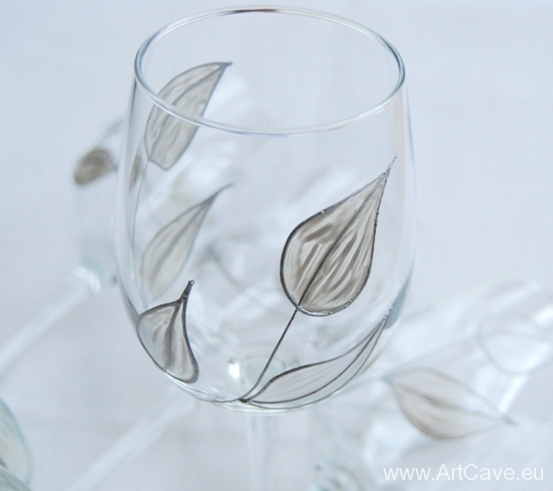 There are white wine and red wine glasses decorated with wavy leafs. 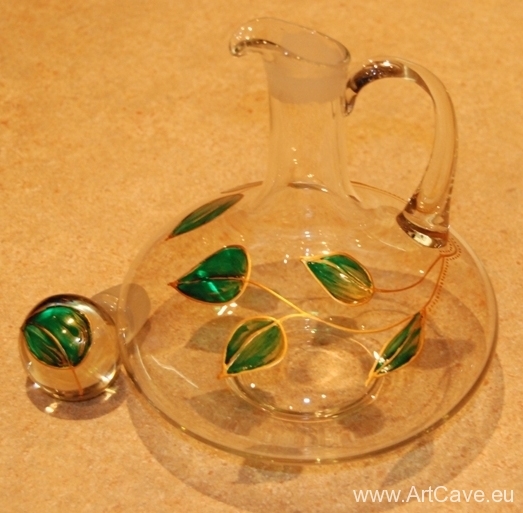 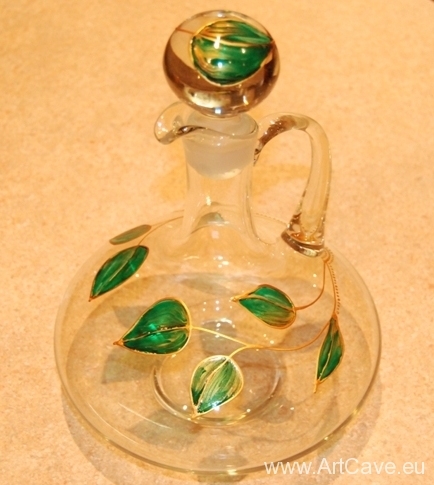 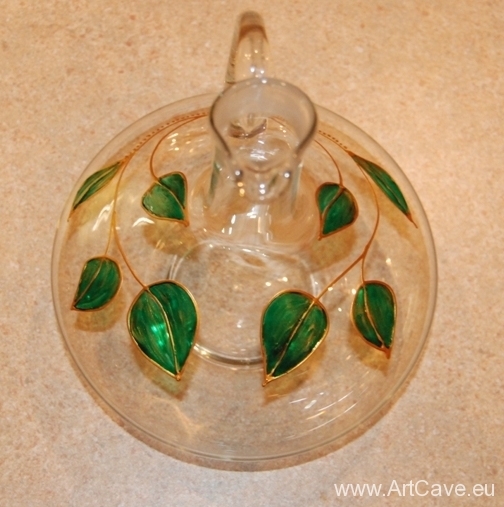 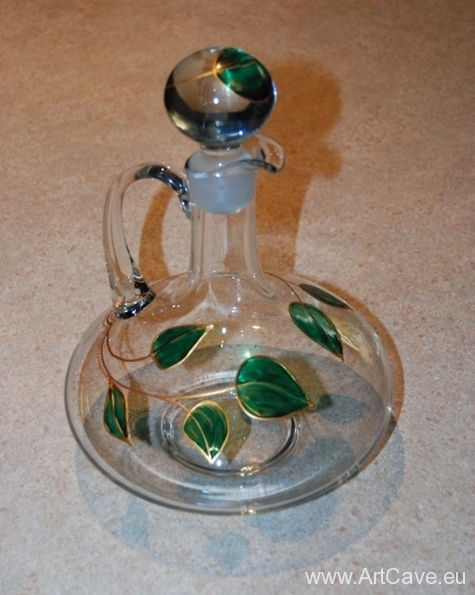 I also have a carafe which can be used for liqueurs, wine or spirits.